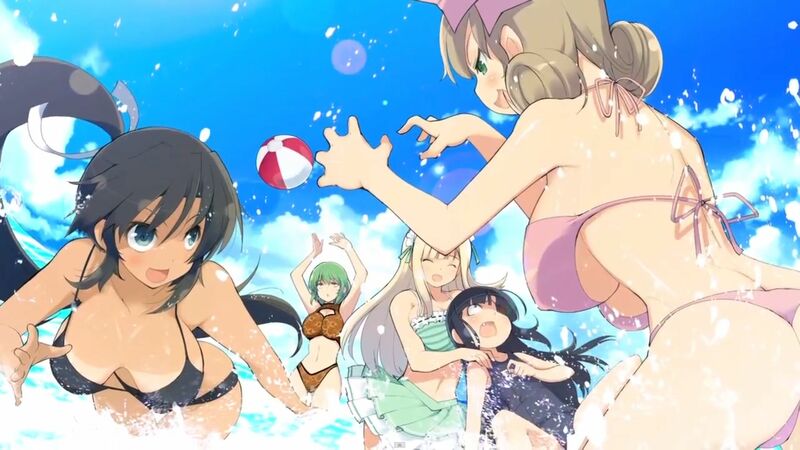 It was recently announced by XSEED, along with their usual lovable teasing on their twitter, that Senran Kagura Burst would be localized for North America and released as a digital only title on the Nintendo eShop. But what about the PAL region? Well we’ve got good news for you! Today, Zen United and Marvelous AQL announced earlier today that they will be doing a joint publishing effort for the game for Europe. Not only will they be offering the game digitally, but they will also be selling the game as a physical retail release, and it’s slated for release in the first quarter of next year. Whether the game will remain uncensored like the NTSC region version, it is not known as of yet. As for North American fans, the game will be released in the Fall of this year. Senran Kagura Burst is a 3DS exclusive title that acts like a sequel, but also as a double pack. It contains the first game, Senran Kagura: Skirting Shadows, also released on the 3DS almost a year before Burst, and it follows the Hanzo Academy ninjas. Burst added the sequel, Senran Kagura Burst: Crimson Girls, which follows the rival school, Hebijo Academy ninjas.